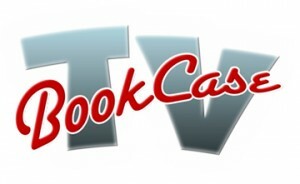 Book Case TV started back in the early day of 2012, with just two people and one camera, in a cramped office space. Max and I posted our short segments (under 10 minutes) on YouTube. The idea was to release one interview a week. Five weeks later, we had a cable deal with LIFE 25 in NY for a 12 episode series, of 30 minutes. Because, no one else was doing books on TV, as soon as we started broadcasting in the NY Metro, requests from the publishing industry, authors, PR too, to take part in our program were overwhelming. After our 3rd season, decision to change our format to accommodate more authors was taken. Hence I created, Books du Jour. We shot 3 seasons of BCTV, so scroll down menu to reach the others.